Eighties fashion is back, and we're plundering the archives on a daily basis for original outfit inspiration. Fortunately for our keyboard-weary fingers, Princess Eugenie just saved us a whole heap of work: The royal recently joined Instagram and has dedicated a collection of her first posts to throwback shots of her mother, Sarah Ferguson, Duchess of York. And you thought only RiRi could pull off this amount of taffeta. Even when off-duty and in a light aircraft, Fergie knew how to accessorise—enjoying the '80s waist-belt with the genuine pilot's jumpsuit. If the flamenco emoji lady existed in 1987, she would have been used all over Instagram for this look. We imagine that casual royal cool had never before extended to printed jeans. Also: That is one excellent sweater knot. Fergie wholeheartedly took to the polka-dot trend of the eighties, and this little navy number wouldn't look out of place in your 2018 summer wardrobe either. 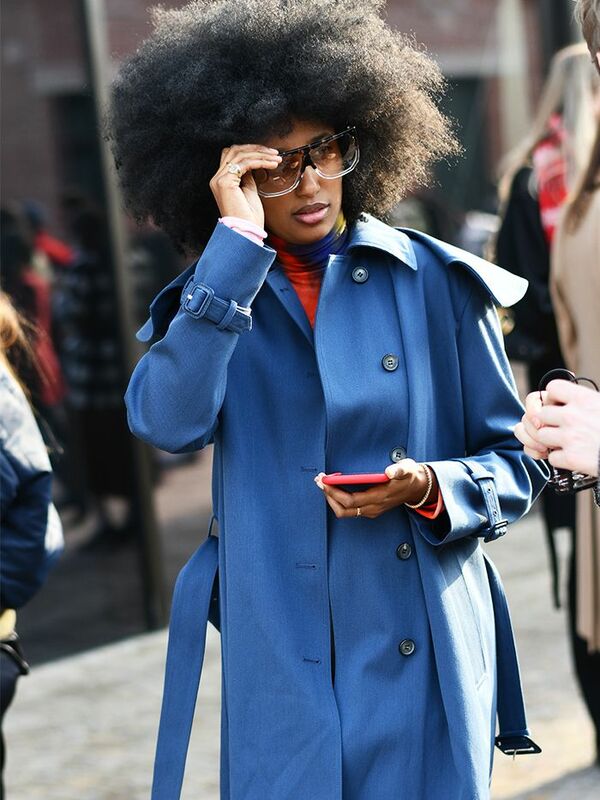 The edged blazer, the ribbon neck tie… it's all very Milan Fashion Week street style if you ask me. Whilst it's a risky business tonging one's fringe, you have to give props to the au courant hair bow and pearl jewellery combination. Gucci—is it Fergie you're looking for? Easy to get distracted by Diana's famous sheep sweater, but do please take a moment to enjoy Sarah's daisy-print sundress and retro shades. You know how Balenciaga is doing the whole "business casual" thing? Well, this duchess did it first. Fergie in polka-dots part deux. Enjoy the flashback? We did.